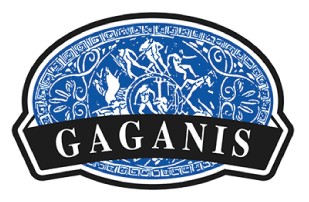 Our Gaganis Mountain Oregano is the true Origanum Vulgare, sourced directly from mountainous regions of Greece. 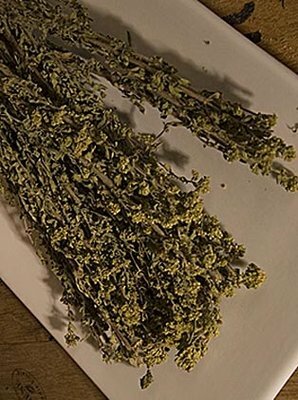 Gaganis Mountain Oregano Bunches (containing flowering stems) are dried naturally and contain important aromatic and nutritional qualities necessary for your cooking experiences. Oregano is a herb that may grow up to 80cm tall. With appealing purple flowers and green leaves, the word oregano is derived from part of the Greek word "oros" meaning mountain and "ganousthai" meaning delight in. This meaning is likely to reflect the understanding that authentic Greek Mountain Oregano favours higher altitudes in the Mediterranean to reach its true potential rather than any flat areas or plains of lower altitudes of other countries. The ease in which oregano propagates is a reason why this perennial herb has spread and flourished throughout the world. Indeed even in Australia oregano has been known to grow well. It is the wild grown mountain oregano of Greece however, that truly stands out as the authentic Greek Mountain Oregano, having grown wild in those areas for thousands of years. We have been sourcing quality and authentic Greek Mountain Oregano, grown wild in Greece, for over thirty years. Our experience has ensured we bring to you the best bunches, with ample flowers ensuring that you are able to experience the aromatic flavours that this ancient herb has to offer. 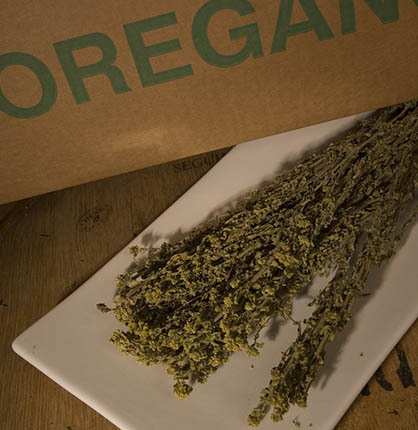 Do not settle for substitutes when searching for genuine oregano bunches. Select authentic Greek grown bunches with the quality and guarantee of our experience.